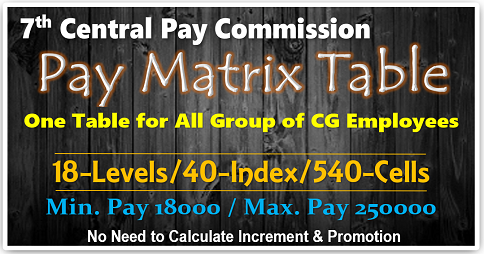 We have given the table for the level from 13, 13A and 14 of Pay Matrix Table recommended by the 7th Pay Commission. The hierarchy stages are given as index 1 to 40(vertical line) and the levels are given as numbers from 13, 13A and 14 (Horizontal line). And the difference between the stages are also shown in the table for your ready reference. CPC was 5850 per month.Earned 14 increments in the same grade.what will be my pension as per latest 7th .CPEC Pay commission? It seems your last pay was included 50% of D.P. so your last pay was Rs.3900 it was fixed in the 6th CPC as plus GP of 1900 and your 7th CPC w.e.f. 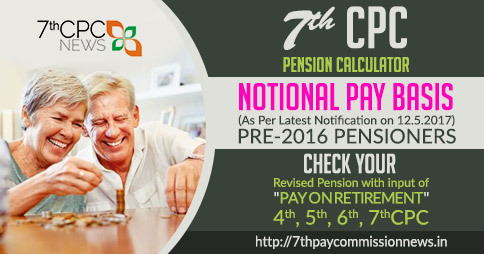 1/1/2016 as notional basic pension is Rs.11,900/- plus applicable D.R. So far you have not received the same you may contact your ex-employer/PAO/CPAO. Need help in understanding the pay fixation and recovery of excess payment for level 13. Please find below details and advise. 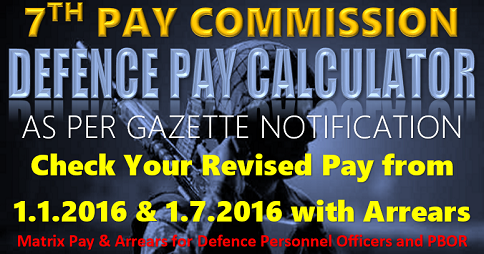 Re – fixed pay as on 01.01.2016 – Rs. 1,47,000.
and 9 which must be equal basic pension. Particularly Subadar nd subadar majors are crushed by the orop commission by some bodies mis guided. Look in this and equal pension pay fix . Table 7 and 9 are equal grade equal sevice and equal Rank table 7 Is regular army Table 9 is territorial army. pl look in to this both table and correct it in their pension. Pension for grade pay 8700/- has been increased from 2.57 to 2.67. 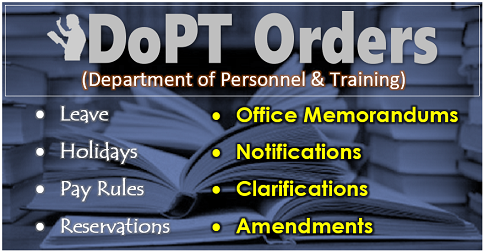 Dopt orders have not come so far. Where are the orders held up. my present pay is 130600/-what will be my pay in the revised scale as instructions are not clear.. I had requested earlier on the below mentioned issue but no response. I hope some response this time. I was promoted and joined to PB-IV, Gr Pay 8700/- on 15.01.2014. Department order pay fixation with a statement that the Date of Next Increment (DNI) would be 01.July.2015 (almost 1.5 yrs) as date of increment was 1st July only. This order was revised afterwards wherein DNI is on 1st Jan and 1st July (with atleast six months service). What would happen to damage done to us? Sir,as per OROP my basic pay is Rs 7170/-multiplinv by 2.57 it comes Rs18427/- if multng by 2.67 it shall has to be Rs 19143.9.and latest min of fin Gaz notifcn med allow Rs 1000/-pm its also not yet revised why? what is the reason? pl letmeknows thank u sir. In my opinion, the second one is the right one and you are eligible for 147063->151400. Otherwise if fixed in 142700 you will fall in 6th level that means you are losing one year of service, That is original level was with 6 yrs of service where as the new fixation will be with 5 yrs of service. Any newly entering person will reach your pay in shorter residence time. This is an anomaly and the Govt has to look at. This anomaly will be carried down to 13 A and 14. But presently employees facing this are on the loser side and has to react. The new fixation provided by the office is based on the first calculation which has to be relooked. As per min of fin Gaz notification dtd 25.07.2016 on 7th cpc level 13 ,my pay was refixed as pay × factor 2.57 ( 55080 × 2.57 ) = 14155 = to pay 141600 as per level 13 & index 7. Now as latest 7th cpc teport and min of fin Gaz notification dtd 16.05.2017, IOR of level 13 enhanced from 2.57 to 2.67.Accordingly my pay shall has to be revised. Kindly clarify that wether my pay as on 01.01.2016 which was Rs 55080 shall be multiply by 2.57 or by 2.67. (2) if multiply by 2.67 then new pay comes as 55080 ×2.67 = 147063 and the nearest figure is 151400/=. Kindly advise suitably for correct calculation.Thanks & regards. 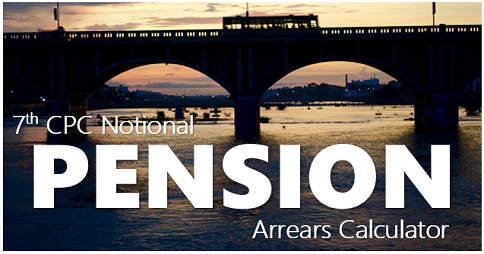 I am a pensioner having Notional pay as on 01Jan 2006 RS 51020. I retired in PB-4 and G. Pay 8o00 Please confirm that in respect of Pay Band 37000-67000 (Grade Pay 8900) (i.e. 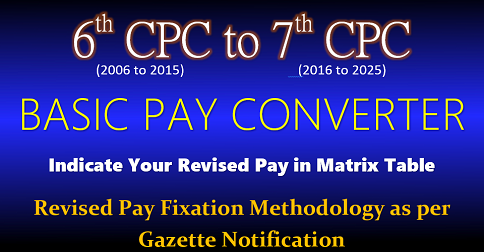 column 13A)Pre-revised notional pay as on 01 January 2016 is to be multiplied by index of 2..67 before fixing in the pay matrix table. Is it correct to multiply with Index of 2.67 and not 2.57? 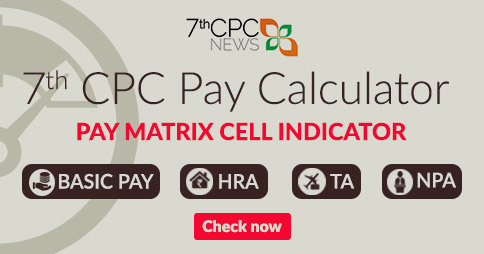 While fixing the the pension In new 7thCPC matrix Weightage to No Of years put in the same position hasn’t been taken into account. According to Tabel person who has put 1Yrs or 4..Yrs of service will be placed at Same pension level Which is not correct. The new matrix at level 13 is not beneficial to majority of the employees who already got fixed the pay as per older matrix.Infact there is a loss of rs.4000 to 5000 per month.The new fixation will cause a recovery of rs. 40000 to 50000.It may be beneficial to new recruit or for new promotion.